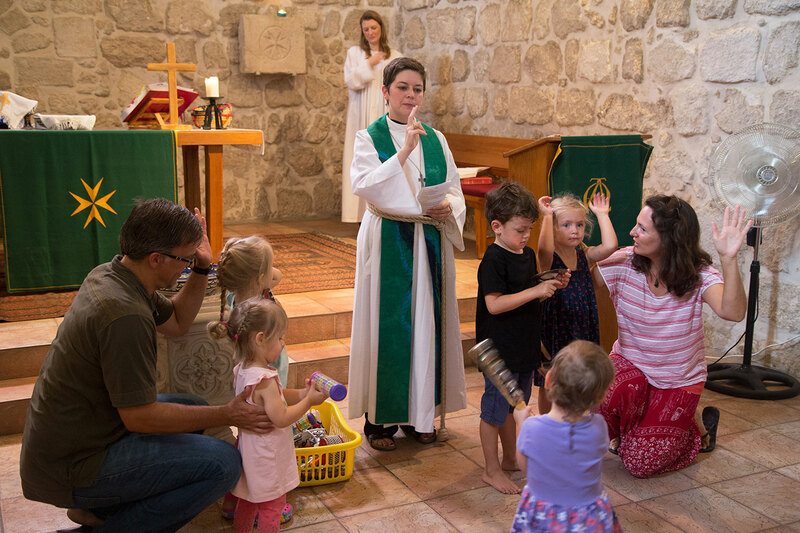 The English-speaking Congregation of the Lutheran Church of the Redeemer is a ministry of the Evangelical Lutheran Church in America (ELCA) and a vital part of the work of the Evangelical Lutheran Church in Jordan and the Holy Land (ELCJHL). We are a diverse congregation with a variety of expressions of the Christian faith: groups, nationalities, and backgrounds, leading and participating in our gathered community. In this land twenty centuries ago, the Church was born. God filled the newborn Church with God’s Spirit and with an abundance of gifts to carry out its mission to proclaim the Kingdom of God to all the world. That mission continues at the Lutheran Church of the Redeemer. Like the early apostles, we witness to God’s presence, grace, and love for all people in the life, death and resurrection of Jesus of Nazareth, the Christ. Our worship together recreates the life of Jesus and the vitality of his community. We follow the rhythm of the church year, commencing with Advent in December, which leads into the sharing of Christmas in the land of our Lord’s birth. The long period of preparation for Easter culminates in remembrance of Jesus’ death and then a joyous celebration of Easter only meters from where his Resurrection took place. 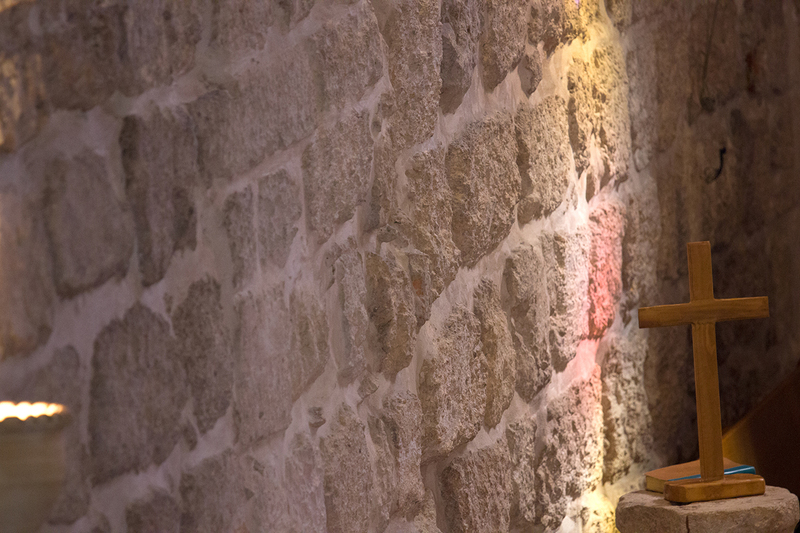 The chapel in which we worship was built in the early 12th century as part of a large pilgrim hostel and convent named St. Mary Latine Minor and was one of many structures erected in Jerusalem by the Crusader Knights of St. John. The chapel and courtyard were restored again in 1995 to reflect their 12th century character. Join us for worship! You are most welcome, whether you are a recent arrival in Jerusalem, a long-term resident, or a guest or visitor to the Holy Land. The English-speaking Congregation of the Lutheran Church of the Redeemer invites you to worship on Sundays at 9:00 a.m. in St. John’s Chapel. The Lutheran Church of the Redeemer is located in the Old City of Jerusalem, in the Christian Quarter, about 50 meters from the Church of the Holy Sepulchre. The white stone tower of Redeemer, which may help to orient you, is one of Jerusalem’s tallest landmarks. The English-speaking Congregation meets in St. John’s Chapel, part of the Redeemer Church complex. The Rev. 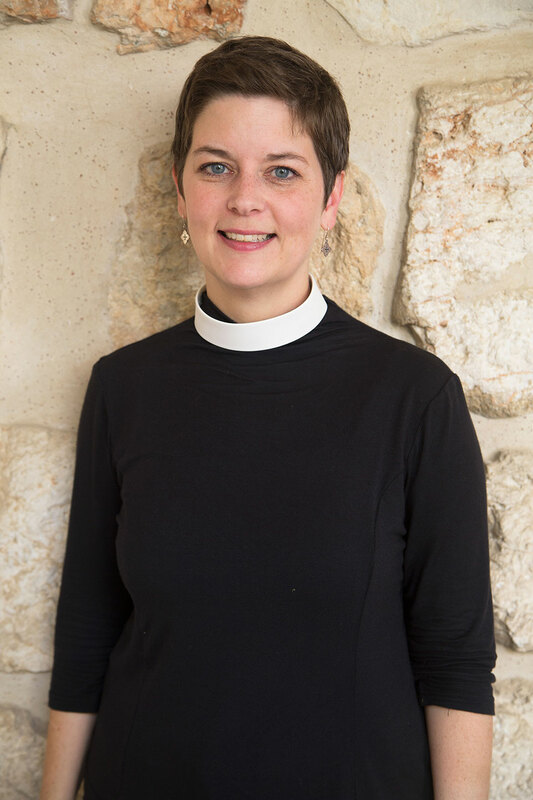 Carrie Ballenger is a graduate of the Lutheran School of Theology at Chicago, and has served urban, rural, and suburban churches in the Chicagoland area before coming to Redeemer. She is the recipient of the 2013 Brave Preacher Award from the Beatitudes Society (http://www.beatitudessociety.org/) for her sermon on gun violence, written after the Newtown shootings in 2012. While in Illinois, Pastor Ballenger was active with the local interfaith consortium (FaithBridge), served on the Global Mission Committee of the NI Synod, and was vice-president of the McHenry County Mental Health Board. Pastor Ballenger has two sons, Caleb and Zion.